From . 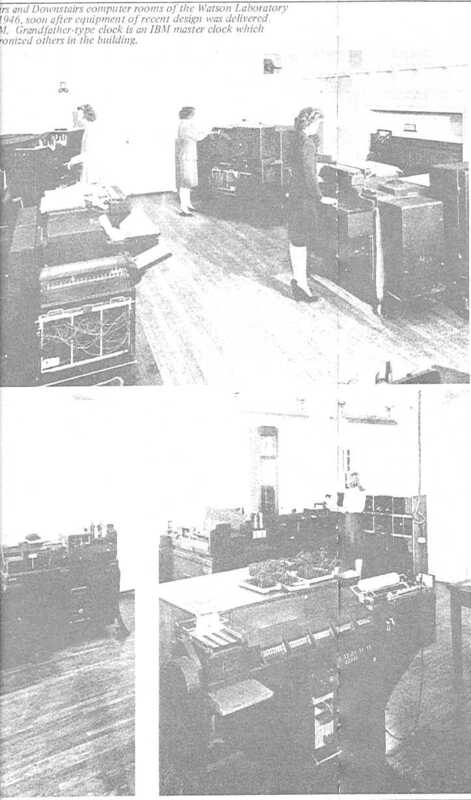 The caption reads: "Upstairs and downstairs computer rooms of the Watson Laboratory [at 612 West 116th Street] circa 1945, soon after equipment of recent design was delivered by IBM. Grandfather-type clock is an IBM master clock which synchronized others in the building."